The story is not new. In 1863, the United States began construction on its first transcontinental railroad. In an era of manifest destiny and the prospect of great riches, an astounding 2,000 miles of rail was laid across the North American continent, triggering destruction and devastation to all that stood in its way. Today, South America faces a similarly precarious and tempting circumstance. Following the Chinese Premier Li Keqiang's recent trip to South America last month, China, Brazil, and Peru are one step closer to closing the deal on the construction of the Twin Ocean transcontinental railroad. The trilateral megaproject is estimated to cost $10 billion USD and will stretch a whopping 5,300 km (3,300 miles) from the Atlantic port city of Porto do Açu, Brazil to an undetermined Pacific port city in Peru. The project is expected to be completed by 2021. In the past, several similar cross-continental infrastructure projects have been constructed in an attempt to connect traditionally isolated cities in South America. Premier Li hopes to turn this unfulfilled dream into reality. During his South American tour, Premier Li organized working groups made up of Chinese, Brazilian, and Peruvian experts to investigate the plausibility of the project. The Twin Ocean railway is one of several Chinese infrastructure projects throughout Latin America. China has laid the plans to fund similar projects in Honduras, Colombia, and Brazil. The Twin Ocean project supposedly offers great economic opportunity for all three countries, which have experienced recent economic slowdowns. For this reason, the leaders of all three countries are dangerously eager--if not desperate--to finalize talks and begin construction. The railroad will likely provide short-term profits, which are slim in comparison to the long-term social and environmental repercussions. Throughout the hemisphere, human rights and environmental activists have raised their voices in opposition, warning of the danger in accelerating construction with trivial, lackluster consideration for the social and environmental implications of this project. These concerns are warranted given the social and environmental impact of previous projects of equal magnitude, such as the Trans-Amazonian Highway, the Belo Monte Dam, the Carajás Mine Project, and the "Devil's Railway." Each of these projects had detrimental effects: societal (i.e. exposure of isolated Amazonian communities and human rights violations), as well as environmental (i.e. deforestation, pollution, and overdevelopment of delicate biospheres). It should be noted that these projects were not as economically sound as previously estimated. In the coming months of planning, it is crucial to take into account these past failures to ensure that similar mistakes are avoided. Given the delicacy and vulnerability of the areas this project affects, a more desirable scenario would be the complete abandonment of this dangerous, intrusive project. But for now, since the project's cancellation appears highly unlikely, it is advisable that project leaders listen to grassroots activists and give them an influential role in the planning. With their input, policies and accountability can be established to mitigate environmental and social impacts of the railroad. In recent years, China has extended its economic and diplomatic sphere of influence to Latin America. In the desperate geopolitical struggle for raw natural resources, China has increased trade with the region. Currently, China is Brazil's largest trading partner and Peru's largest consumer of minerals, such as gold and copper. A revolutionary change is occurring which will leave China an indomitable player in Latin America. This past January, Chinese President Xi Jinping pledged to invest $250 billion USD in Latin America throughout the next 10 years. This enormous investment will surely prove beneficial for all of Latin America. Current Chinese trade routes from South America pass through the Panama Canal where trade tariffs and fees have reportedly tripled over the last five years. China has searched for a new, more economically viable route to ship crucial raw material exports from South America, hence earlier Chinese talks to construct a wider canal through Nicaragua. Chinese experts have determined that a more economically and diplomatically viable option is to avoid the Canal all together and instead ship all South American exports from a Pacific Ocean location. According to a senior Brazilian official, this project is expected to reduce the cost of shipping to China by about $30 USD per ton. In addition to this cost reduction, a transcontinental railroad would grant China easier access to goods from the interior of the continent. Latin America, especially Peru and Brazil, is intended to profit greatly from this project as well. While China is expected to benefit from reduced export costs, Latin America will likely benefit from improved infrastructure and increased continental trade. Strong infrastructure has been shown to foster economic growth. The railroad will open up accessible, cheap trade between Brazil and Peru and likewise the rest of the region. Kevin Gallagher, professor of global development policy at Boston University, has high hopes for the project, stating that "Latin America will benefit the most if this is done right." In addition, Gallagher explains, "High-speed rail could help get products to the Pacific, which is a growing destination for Latin American exports, but it could also facilitate trade among Latin American countries themselves." Although it remains undetermined who exactly will construct the railroad, Brazilian or Peruvian participation would surely be a benefit to their individual labor markets. While there is potential for great success in this trilateral agreement between China, Brazil, and Peru, there is also potential for great danger. At face value, this railroad offers great economic benefits to all participants. Once the social and economic repercussions are weighed, however, these benefits fall short in comparison. The Twin Ocean project has not been the only attempt at inter-oceanic connectivity. This rail project all too much mirrors the "InterOceanica" transcontinental highway system which had the same intentions. This project, beginning in 2006, was estimated to reduce trading costs from Brazil to Asia by $100 USD per ton, which is even more than the Twin Ocean Railroad is estimated to save. Execution of the project, however, was shortsighted and incomplete, leaving the highway inaccessible for heavy shipping. Rob Curran, reporter for the Wall Street Journal, recalls incredibly steep roads; unfinished, damaged and nonexistent sections; and natural obstructions. Aside from infrastructural issues, the highway promoted a surge of more insidious consequences. Rob Curran continues, "The road seems to have made the lives of many Peruvians easier; it has done the same for drug traffickers, illegal gold miners and unscrupulous developers." Similar consequences arose from Brazil's Trans-Amazonian Highway in the 1970s, which fostered rampant deforestation and environmental destruction. Many argue that similar dangers exist for the Twin Ocean project, which could easily foster illegal mining, destructive lumbering, and drug trafficking to an already sensitive and vulnerable region. Twin Ocean project leaders have either forgotten or blatantly ignored the failures of the past. Following Premier Li's recent visit to South America, outcry against the project has risen from several environmental and human rights groups throughout the hemisphere. Many of these groups fear that a railroad will likely disturb the delicate Amazonian ecosystem and expose likewise vulnerable, isolated indigenous communities to future development and exploitation. This project is a modern day representation of the manifest destiny-oriented, transcontinental railroad of the United States, which was executed with little to no regard to the native peoples who occupied much of western North America. China's imperialist tendencies throughout the developing world are good representations of what is to come to Latin America. Africa, for example, has received abundant amounts of Chinese development aid and investment. It is known that standard labor codes are often broken by China in developing regions of the world. Laborers are overworked and underpaid, all at the hand of Chinese companies. This is cause for concern considering the dire situation of the South American job market. As countries become more desperate for work, the likelihood of manipulation and maltreatment by foreign investors rises. The environmental implications of this project are equally alarming. Environmentalists are most concerned about the delicate Isconahua Reserve and Vale do Rio Juruá, which, according to The Guardian, "is home to one of the most spectacular ranges of flora and fauna on the planet." Intrusive construction through this area will likely be detrimental to the delicate Amazonian ecosystem. Additionally, the route will intersect forests in Mati Frosso, Rondônia, and Acre, which are some of the few remaining large areas of standing forest in the Amazon basin. Strict conservation regulations are crucial, stresses Nilo D'Ávila of Greenpeace, as well as the prevention of further inland development. This project also threatens to increase deforestation in an already weakened and delicate environment. "To a biologist, this has to count as one of the most important places on the planet," says Adrian Forsyth, president of the Amazon Conservation Association. Bruce Babbitt, chairman of the World Wildlife Fund in the United States, proclaims, "If we destroy the biological heritage of the Andes and the Amazon basin, we are impoverishing Peruvians, Brazilians and, indeed, the entire world." For Babbitt and other activists, the consequences of further tampering with this region of the world will be catastrophic, outweighing any short-term economic profit. Activists are not likely to be quiet. Many of the aforementioned projects were stunted by local and international demonstrations, costing millions of dollars. If proper precautions are not taken by China, Brazil, and Peru, similar protests may stall the completion of the Twin Ocean Railway. Human rights and environmental groups must be given a seat at the planning table for this project. The more likely and historically accurate outcome, however, is less optimistic. Given the economic importance of this project, corners will likely be cut and human rights and environmental protection will be jeopardized. Article: Courtesy: Council on Hemispheric Affairs. 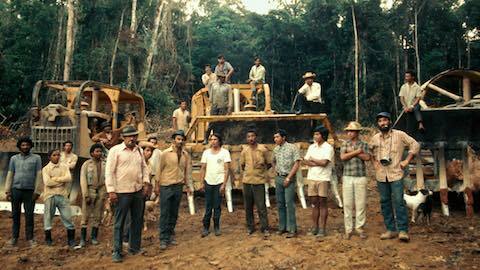 "The Twin Ocean Project: South America's Transcontinental Railroad"